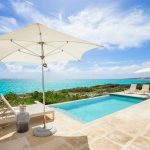 You’re looking to find your perfect Turks and Caicos villas for sale, and you know what you want, but there are so many options! Let us help narrow down some of the beautiful Private Peninsula Neighborhoods offered at Sailrock Living! What better way to wake up and start your day then hearing the sound of waves ebbing and flowing into the ocean bluffs, and end your day with clear views of the sunset. You can get all of this, and more, in the Peninsula Bluff neighborhood! Choice matters when you’re building your Turks and Caicos villa. That’s why at Peninsula Passage you have the option to build your villa on the oceanfront or on our ridgetop site. Each has their own uniqueness, the oceanfront villas will have unique coastline views and be surrounded by the tropical landscape. 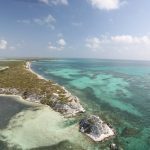 While the ridgetop sites will offer panoramic views and the ability to see the sunrise on the Atlantic Ocean and the sunset on the Caicos Bank. If you’re looking for more of a community living feel to your new villa in Turks and Caicos, then look no further than Peninsula Estates! 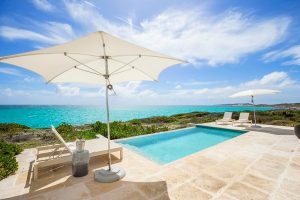 These Turks and Caicos lots for sale offer a gated community in the Sailrock Private Peninsula that features access to a beach club and tennis courts. We also offer oceanfront and ridgetop homes that have similar views to other oceanfront and ridgetop properties. In addition, Peninsula Estates will also come with its own private beach that only residents of Peninsula Estates can access! If you have any questions about Turks and Caicos villas for sale at Sailrock Living, feel free to contact us today and let us help you build your dream Turks and Caicos vacation home!